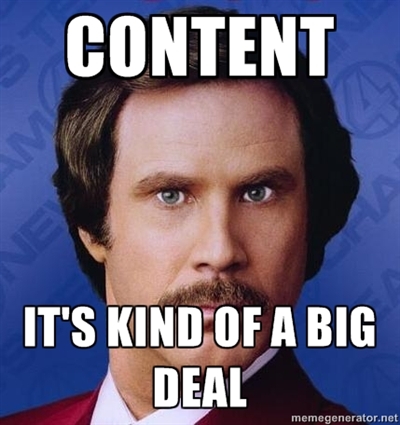 Content marketing is the biggest buzzword in marketing at the moment. 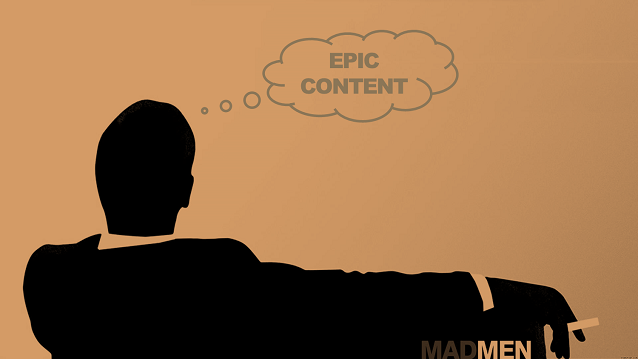 Actually, ‘buzzword’ implies that content is a marketing fad or the latest trend – it isn’t. 93% of marketers already do content marketing and 72% have plans to increase their content marketing efforts in 2016. Content marketing strategy for apps focus less on pushing promotional messages to customers and more on pulling the customer in with useful and entertaining information at the right time and the right place. Basically, content is anything relevant and valuable you can create that will attract and engage a clearly defined target audience. 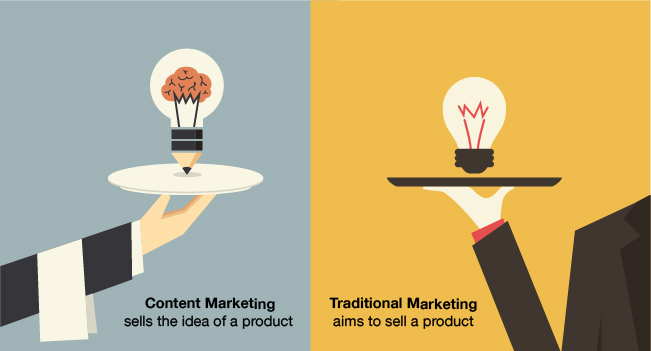 Therefore, content marketing is communicating with customers and leads without selling. It is non-interruption marketing. You are a Melbourne-based startup and have an app that shows users the nearest Vietnamese restaurants to their real-time location. Obviously, your target market are Melbourne foodies who enjoy eating Vietnamese (holla). a) Receive a non-personalised email blast which introduces the app and how great all its features and functions are, finishing with ‘download now!’ (Essentially, a sales pitch). b) Be scrolling through your Facebook newsfeed and come across an entertaining 2 minute video of the Top 5 Viet-Nom-Nom Restaurants In Melbourne, ending with a splash of branding from the app and a link to find out more? Most customers would choose the second option. It’s relevant to their interests, well timed and useful. Do nothing but feel good about the video and unconsciously store your brand in their memory bank. Now, you might be thinking from the sales hustler’s perspective that the second option wouldn’t directly result in many app downloads. 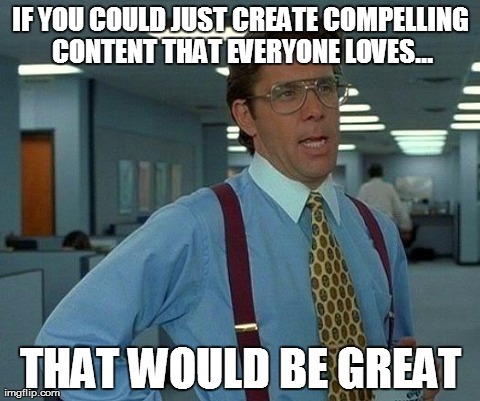 It’s true that content marketing doesn’t overtly promote your product like a sales pitch would. But spammy sales pitches don’t get immediate downloads either anymore – customers are really, really good at ignoring traditional marketing messages. You’ve got to be savvy with your marketing to cut through the noise! The goal of content isn’t to generate direct sales. It’s to attract people into your world and nurture them so they eventually reward you with their business and loyalty. In this post I’m going to give you a crash course in content marketing for startup apps specifically – The benefits, how you can use it, and 3 short case studies of Evernote, Uber and MenuLog who are going above and beyond with their content strategy to generate downloads and revenue. More traffic and leads to your website – companies with blogs and content-rich websites generate 97% more leads than companies without. It’s very startup friendly. 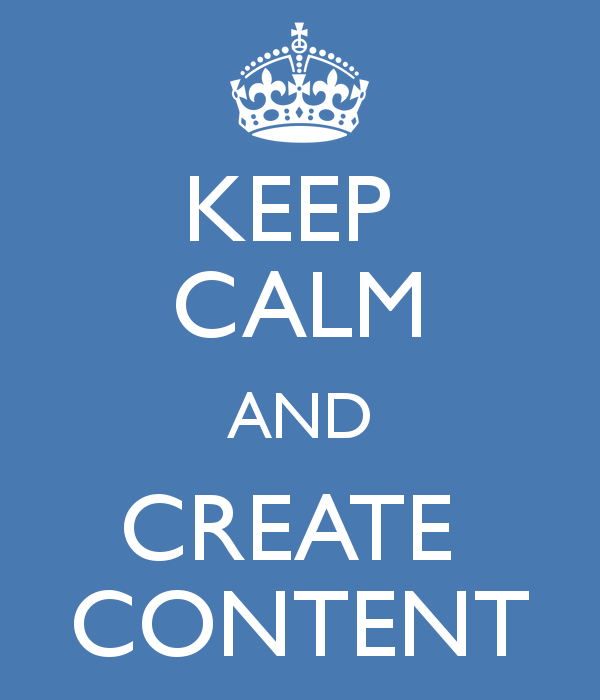 Content is cheap to create, organic, feel-good marketing that actually helps your customers! 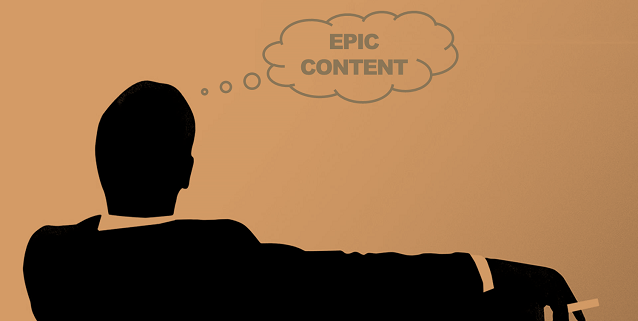 Most people are pretty happy with the benefits of content marketing. PLEASE STAHP INSULTING MY EVERY FIBRE OF BEING. Every app can create content! Everyone reads, everyone searches online for information before they make a purchase, everyone has at least one social media account, and everyone follows at least one brand to receive updates on them via email or social media! If you’re not creating content, you’re missing out on getting in front of your audience. 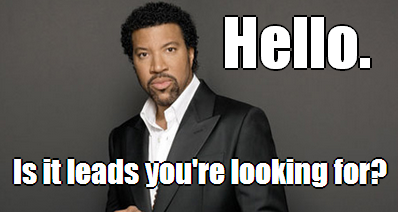 You’re wasting potential leads! A lot of the time, a low-involvement consumer decision like downloading an app will be driven by picking the brand that is ‘top of mind’ and has the most mental real estate. Before I provide you a step by step guide to start producing content for your app, here is some inspiration! These are 3 apps from very different industries that produce fantastically effective content. Evernote is an all in one productivity tool to store notes, to do lists, photos, ideas and more. Evernote uses surveys to get clear on its audience. They know that their users are white-collar lawyers, doctors, designers, chefs, writers, and undergraduate and graduate students, to name just a few, and are typically in their mid-30s to mid-40s. It even went a step further and turned its users into ambassadors who can teach, share and help you get more out of Evernote. Their main distribution platform for this content is social media. 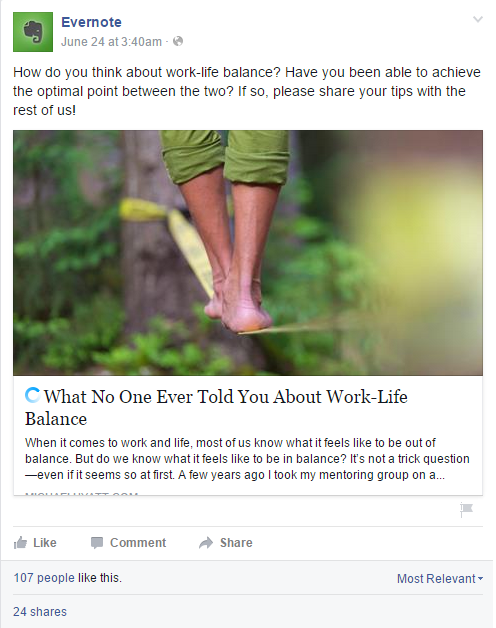 Evernote gets a lot of traffic from Facebook particularly, which is no doubt down to its clever use of video. Video performs extremely well on Facebook – it seems to rank higher in newsfeeds than any other content and engagement is at an all time high! Apart from completely disrupting the taxi industry and being hailed as the leaders of the collaborative economy, Uber are absolutely killing it with a content-headed marketing strategy. Their content strategy drives (pun intended) user engagement and is reflective of Uber’s brand positioning as a “lifestyle company“. Uber has a magazine for its 150,000 drivers called Momentum. 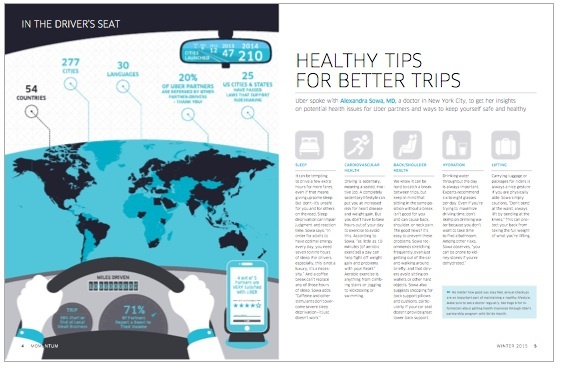 This magazine includes updates on Uber’s new markets, articles on how to stay healthy while driving, and driver profiles. Uber’s YouTube channel is also brimming with creative content that puts all the focus on the users and tells their personal stories. The video below follows a freelance CEO, a radio personality, and a model as the trio travels around Sydney in car driven by an uberX driver who’s working toward financing his upcoming wedding. What makes Uber’s content so successful with new and existing users is that they capitalise on what makes Uber so unique in the first place: it’s users! Uber drivers and passengers come from all walks of life and there are fascinating stories to be heard just by profiling their customers. Make sure you also check out this video at Buzinga’s Pollinate Event on how Uber cleverly uses data to drive product (and content) insights. 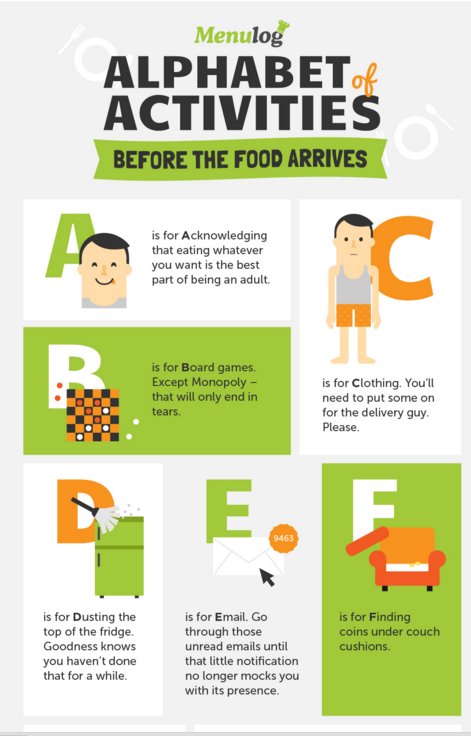 Menulog is an Australian food-delivery app and their content is next level foodie heaven. Competitions and promotions like the #officelunch social media contest with winners winning a free lunch for their workplace. Buzzfeed-style quizzes like Can We Guess Your Age By Your Eating Habits? and Are These Chinese Foods Actually Chinese? Just to name a few! The diversity of their content is impressive, and all of it is simple to read. 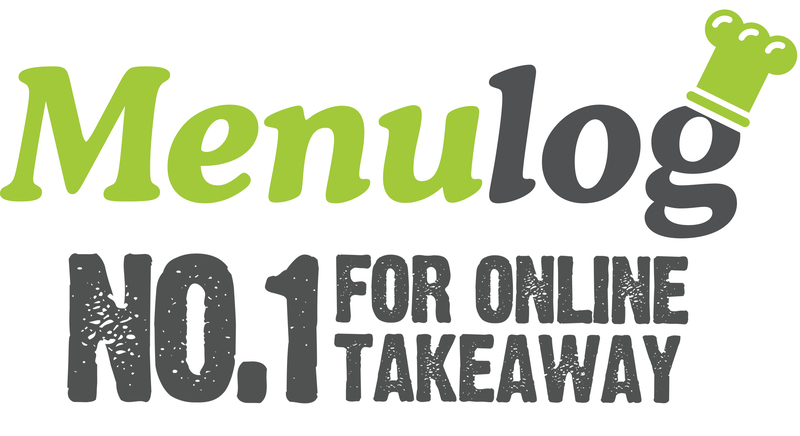 Menulog understands its audience aren’t high-class food snobs – they believe food should be fun and easy, so all their content is a bit tongue in cheek! They also make a big effort to stay current and keep pieces on trend with what’s happening in Australia that their customers might be interested in. Well timed content catches fire, so articles like the Melbourne Cup-themed 5 Food-Loving Fascinators For Racegoers show that they are committed to offering relevant and timely content to their audience. Hopefully by now I’ve convinced you that content marketing is worth putting into your app marketing plan. Here are some steps to get started. Stuck for ideas of what to write about? Reverse engineer your content ideas. Start with the customer and what would be most valuable to them at that time, and work backwards to think of ways you can cater to that need. Of course, to do this you need to know your audience. If you aren’t clear on who your target market is yet, now is the time! What niches do you want to own? What are your customers already reading? Check out the competition and see what content is resonating with your audience. Use Buzzsumo to search for content and news that is trending in your industry in real-time, and springboard ideas off of that. Use Google Keyword Planner to see what people are searching for related to your app’s keywords. The key to becoming an authority in your industry with content is consistency. 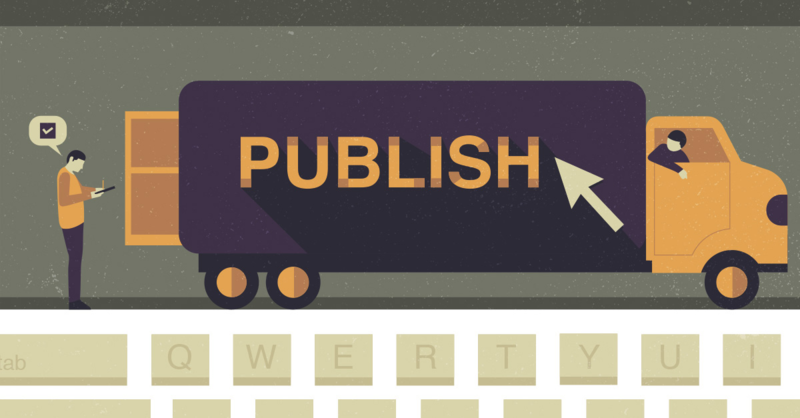 To reap the gains of content you need to be committed to publishing content on a regular basis. Even if right now you can only commit to publishing 1 blog, video or quiz a month, make sure you stick to that commitment no matter what! The best way to ensure you are never rushed into releasing half-arsed work is to use a content calendar. 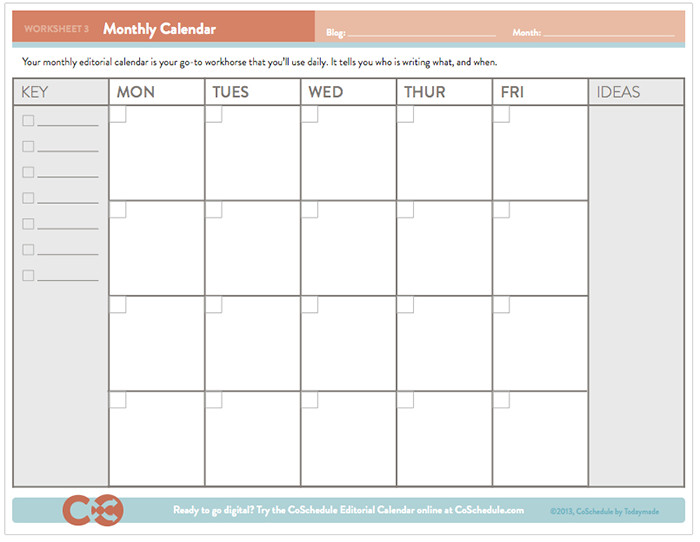 This can be as simple as an Excel spreadsheet with key dates and titles, or you can download a free content calendar template here. The great news about writing content for the web in 2015/16 is that it is so easy to just write what your audience wants, not what you think Google wants. You don’t have to be an amazing writer – you’ll be rewarded for writing how you speak (no jargon or academic language, ugh), breaking content up into scannable sections (no long form rants) and bringing your own unique brand voice to your content (just be you, everyone else is taken ;). Now, the bad news. Everyone knows how awesome content marketing is, and therefore there is a LOT of content out there on the World Wide Web you need to cut through. Fortunately, most of it is total rubbish. But you still need to ensure your content stands out as the tall poppy among the weeds. Tell, don’t sell. Eliminate any explicit self-promotion and just tell a story that will entertain and educate! Only create content that is relevant to your app’s positioning and its function. The content needs to help customers solve the problem that your app also seeks to solve. You’re not a charity here, the goal is to generate leads that could eventually become customers! Don’t write a single word before first identifying WHO the piece of content is for and what the goal is of that content piece. If you have a broad audience, it might be worthwhile to create reader personas to get clear on who you are creating content for. Write about topics that are popular or trending, but choose a new angle, a new opinion, make it longer or go deeper on a specific aspect. Above all, be unique. I highly recommend checking out this epic free course: How To Start A Blog. It includes PDFs, video and audio instruction for blogging beginners. Even if you don’t have a website to to host all your content yet, there are still cheap or free options available to you. Now that you have a place to publish, you can link to these platforms when you are promoting your content via social media posts, any forums or groups you are a part of. So you’re publishing content, growing your social media following, and getting traffic to your blog, YouTube channel or website. Great, but what are you doing with all those people reading your content? You’re letting them walk away if you aren’t pushing them to complete an action that engages them further with your brand. Identify what the ideal next step is for the reader. Where are they in their buyer’s journey? This will shape your ‘call to action’. If your app hasn’t launched yet, prompt people within the content to go to your pre-launch app landing page. Here they can leave their email and receive updates on your app’s launch date and further content. Prompt them to read further content by linking to relevant articles within the content and at the very end. Prompt them to download an ebook, request a product demonstration, or sign up for a free trial of your app. Prompt them to visit your website or watch a video for more information on your app. Prompt them to follow you on social media. I would love to see more apps using content as a key part of their app marketing strategy, because the gains are absolutely enormous and it’s so cost-effective compared to traditional marketing. Hopefully this short guide has given you the ammo you need to start planning your app’s content strategy today! Remember, be creative, be helpful and don’t self-promote, and you’ll see more app downloads, more engaged users and brand awareness than ever before. What content do you plan on creating for your app? Let me know in the comments below! Leah is the digital content producer at Buzinga. Obsessed with reading and writing about apps, she trawls the internet for all things weird and wonderful in mobile tech.